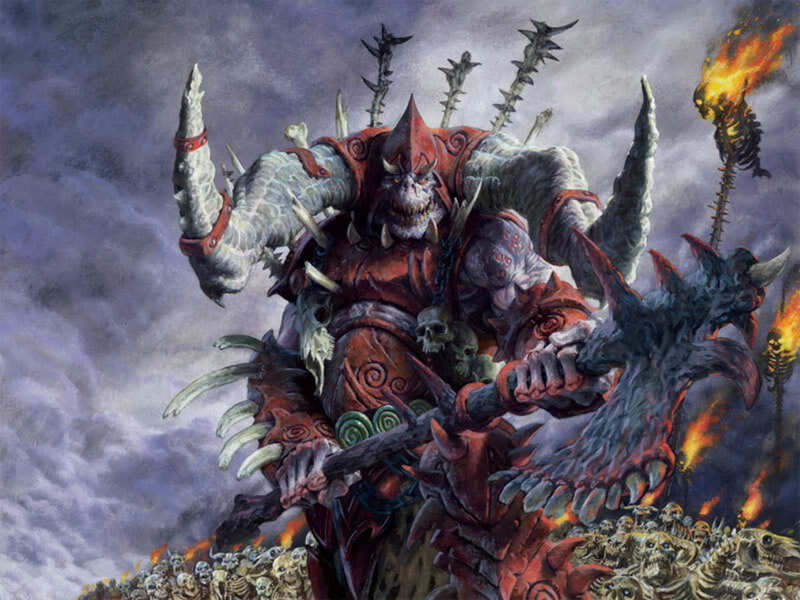 This is a deck that utilizes the Grixis colors and the theme of the undead. While this can be used as an offensive deck, this EDH deck can also act as a deck for the following: milling, discard, and creature sacrifice. It's a deck that has so many different ways to drive an opponent crazy, be you do need to be careful. This deck is the type of deck that will draw much hate in your direction in a multiplayer game. If opponents are fed up enough, a couple of them might end up ganging you in order to get you out of the game. The cards used in this deck can really spoil the plans of your opponents. With the arrival of the Alara block (Shards of Alara, Conflux, and Alara Reborn), the main focus was on any three combination of colors with one color combined with its allied colors. With Grixis (Blue, Black, and Red), there was a big focus of vampires, zombies, specters, and other dark creatures. With the cards in the past combined with the cards from Alara, I came up with the idea of creating a Grixis-themed EDH deck. The main problem was coming up with a general. Since I had plenty of cards that forced opponents to sacrifice creatures and/or discard from their hands, my friends suggested that I pick Thraximundar as my general. So far, Thraximundar is a pretty intimidating general to have on the battlefield. The casting cost for Thraximundar is the following: 1 Blue, 1 Black, 1 Red, and 4 Colorless. You have to pay a total of seven mana. It is a 6/6 creature; thus, it's already big and intimidating. Thraximundar's two abilities make it pretty intimidating. Its first ability is Haste. That means Thraximundar is not affected by summoning sickness when it enters the battlefield. The moment you bring out Thraximundar is the same moment you can attack with it. However, this ability is used in conjunction with Thraximundar's second ability. The second ability activates when you attack with Thraximundar; when you attack with it, the defending opponent has to sacrifice a creature. This is a good way to get rid of any creatures belonging to your opponent with Shroud or Indestructible. Whenever a player sacrifices a creature, Thraximundar gets a +1/+1 counter. By attacking, you can make an opponent defenseless while Thraximundar gets bigger at the same time. If you're playing a Grixis-themed deck that thrives on sacrificing creatures, then Thraximundar is an invaluable card to have at your disposal. I liked Thraximundar's ability and decided to make an EDH that is centered around the card. Thraximundar is deadlier when you combine its abilities with cards that have similar abilities. Official artwork for Kaervek the Merciless. Official artwork for Sedris, the Traitor King. Official artwork for Prince of Thralls. In this deck, I have a suitable amount of creatures. I have multicolored creatures that keep to the theme and colors of this Grixis EDH deck. But, I have mostly Black mana creatures because they are instrumental to the theme of this deck. I have used a deck of mostly zombies and vampires, but I have added a few specters and demons to the deck because they have abilities very useful to the deck. Those abilities work in conjunction with the enchantments, instants, and sorceries. To best use those creatures, just be a total jerk about it. Remind your opponents that this is just a friendly game of Magic the Gathering. Whatever happens in the game stays in the game. However, you need some mana acceleration and fixing as well which comes in the form of artifacts. That way, you get your creatures onto the battlefield faster. 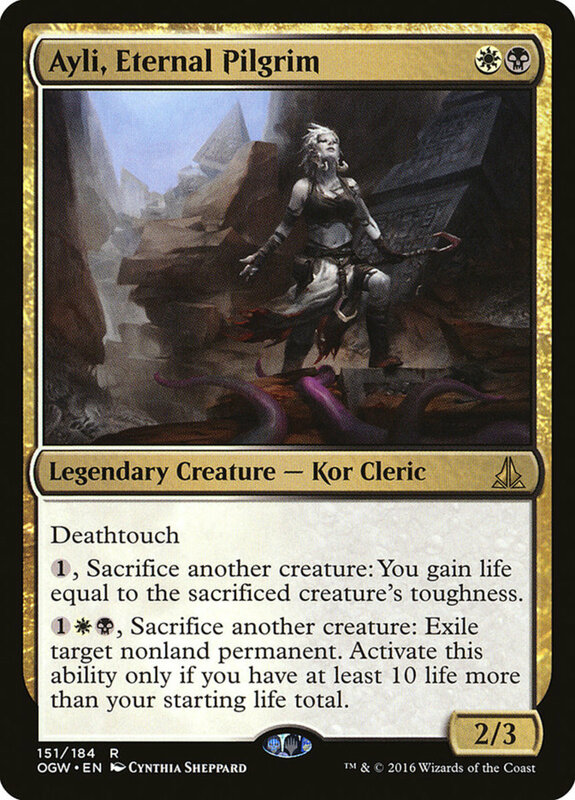 Kaervek, the Merciless – 1 Black, 1 Red, & 5 Colorless; This is one of the cards that will make your opponents feel some pain. As long as Kaervek is on the battlefield, it will make opponents think twice before unleashing highly potent or high-costing mana spells. This is a pretty useful card provided you can get it onto the battlefield early enough. 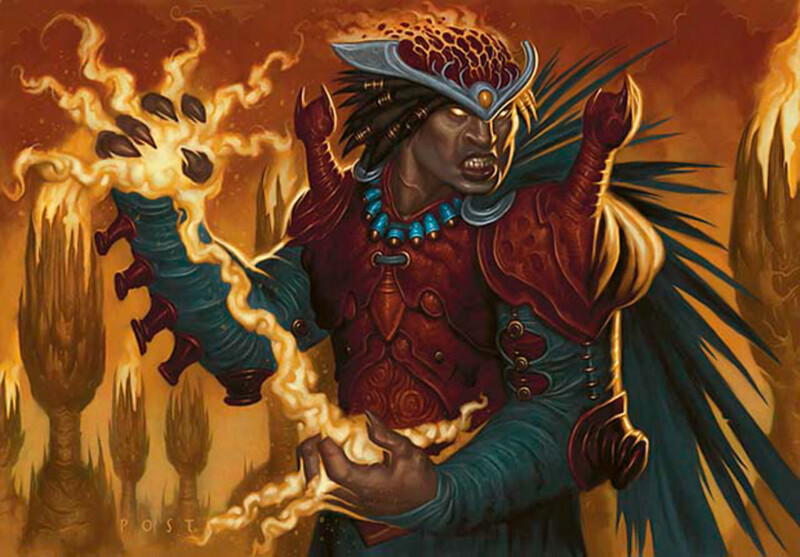 Sedris, the Traitor King – 1 Blue, 1 Black, 1 Red, & 3 Colorless; This 5/5 zombie warrior has the useful Unearth ability. Malfegor – 2 Black, 2 Red, & 2 Colorless; This 6/6 Flying dragon makes you discard your hand; but, opponents have to sacrifice a creature for each card you discard. If you had a hand of four cards, then your opponents must sacrifice four creatures each. 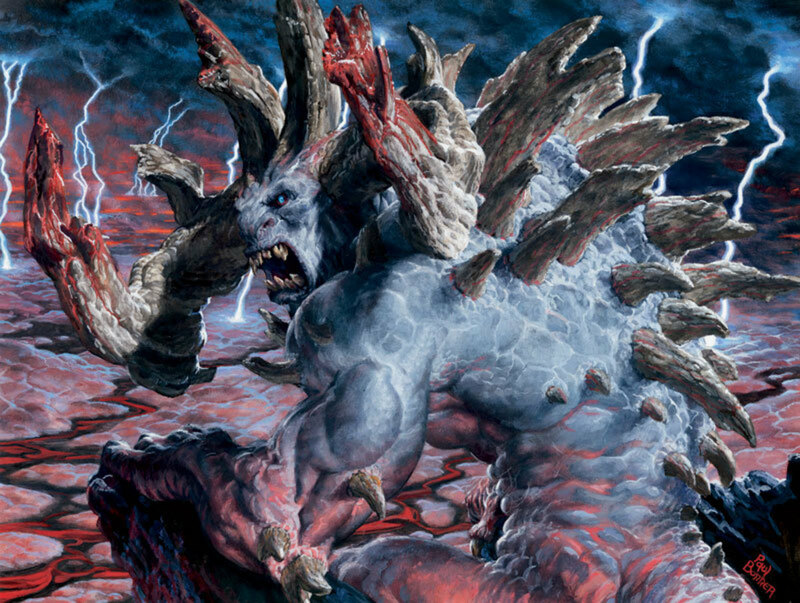 Prince of Thralls – 1 Blue, 2 Black, 1 Red, & 4 Colorless; This creature gives your opponents a choice: Pay 3 life points or let one of their permanents go under your control instead of their respective graveyards. 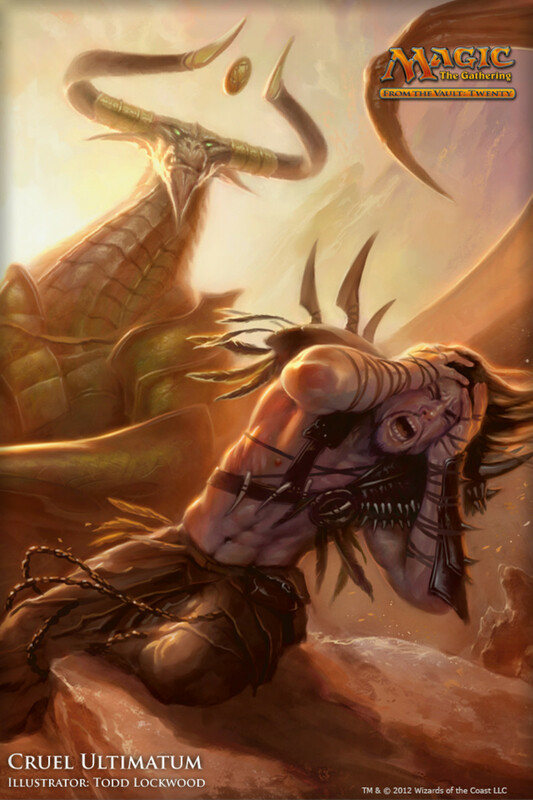 The card works great with Thraximundar because your opponents are forced to make harder decisions. Not only do they have to sacrifice a creature when attacked by Thraximundar, they have to pay 3 life to keep those creatures from being under your control. Lich Lord of Unx – 1 Blue, 1 Black, & 1 Colorless; Its two abilities are very useful. The first ability lets you spawn out zombie wizard tokens. The second ability makes a target player lose X life and mill X cards in which X equals the number of zombies you control. Defiler of Souls – 2 Black, 1 Red, & 3 Colorless; Asides from its Flying ability, each player has to sacrifice a monocolored creature during his/her upkeep as long as the creature is in play. Lightning Reaver – 1 Black, 1 Red, & 3 Colorless; To start things off, the creature has Fear and Haste. When it does combat damage, Lightning Reaver gets a charge counter. At the end of your turn, each opponent is dealt X points of damage where X is the number of charge counters on Lightning Reaver. Sedraxis Specter – 1 Blue, 1 Black, & 1 Red; Discard ability when it does combat damage. Ob Nixilis, the Fallen – 2 Black & 3 Colorless; Landfall ability is valuable to its deck. It plays on the theme of finding multiple ways of winning with this EDH deck. Maga, Traitor to Mortals – 3 Black & X Colorless; It comes into play with X +1/+1 counters. Target opponent loses X points of life where X is equal to the +1/+1 counters on Maga, Traitor to Mortals. Abyssal Specter – 2 Black & 2 Colorless; Discard ability. Silent Specter – 2 Black & 4 Colorless; Discard ability. Extractor Demon – 2 Black & 4 Colorless; Asides from its Flying ability, Extractor Demon causes a target player to mill two cards whenever another creature leaves play. Cemetery Keeper – 2 Black & 1 Colorless; Another zombies you control get +1/+1. Vein Drinker – 2 Black & 4 Colorless; An effective way to kill creatures indirectly while letting this creature get bigger. 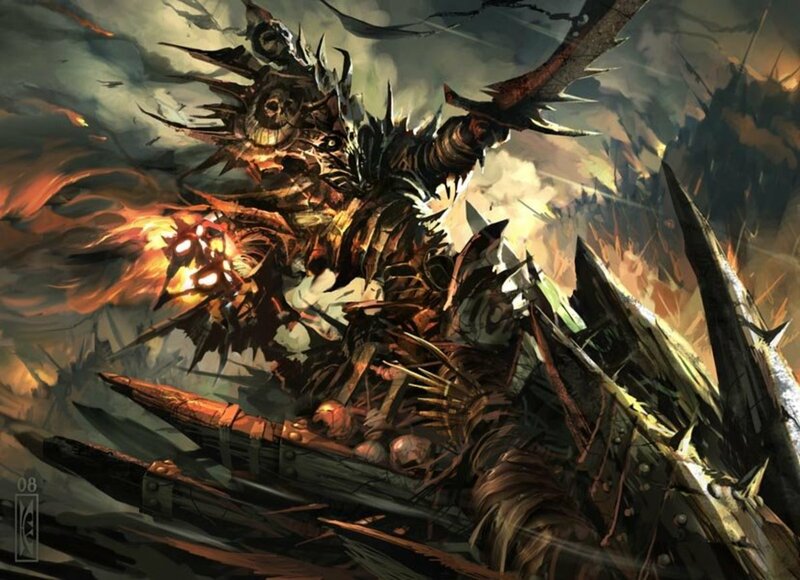 Death Baron – 2 Black & 1 Colorless; Other skeletons and zombies you control get +1/+1 and Deathtouch. Lord of the Undead – 2 Black & 1 Colorless; It gives all zombies +1/+1. By paying 1 Black & 1 Colorless, you can tap this creature and put it back in your hand. Boneknitter – 1 Black & 1 Colorless; Lets you regenerate a target zombie. Halo Hunter – 3 Black & 2 Colorless; Intimidate ability is handy. Official artwork for Vicious Shadows. Enchantments play a crucial part of this deck because they play on the abilities of the creatures being used in this deck. These enchantments will give opponents much to worry about when playing against your deck. Cloven Casting – 1 Blue, 1 Red, & 5 Colorless; As long as this card's in play, you can pay 1 Colorless whenever you play an Instant or Sorcery. For each Colorless mana you pay, you can copy that spell a few times. Playing the right spells will put your opponents in a world of hurt. It might cause an opponent to concede the game. Nettlevine Blight – 2 Black & 4 Colorless; An effective way to distract an opponent. Larceny – 2 Black & 3 Colorless; Useful discard ability. Megrim – 1 Black & 2 Colorless; The most useful card to use with other cards with discard abilities. Putrefaction – 1 Black & 4 Colorless; Good anti-White & anti-Green spell. Vicious Shadows – 1 Red & 6 Colorless; This is a vicious card to have on the battlefield when you're finding ways to send your opponent's creatures to their respective graveyards. Rage Reflection – 2 Red & 4 Colorless; Gives your creatures Double Strike. Official artwork for Cruel Ultimatum. Even though I have a few Sorcery spells, the specific spells I have picked out are very crucial to this EDH deck. These sorcery spells have effects that go well with the many other cards you have on the battlefield. Cruel Ultimatum – 2 Blue, 2 Black, & 2 Red; This spell will put any opponent in a world of hurt. Combined with Cloven Casting, even if you have 2 Colorless to spare, will turn the tides in your favor. Blightning – 1 Black, 1 Red, & 1 Colorless; This sorcery is pretty handy. You make a player discard 2 cards while suffering 3 points of damage. Plague Wind – 2 Black & 7 Colorless; Combined with Vicious Shadows, Plague Wind is a devastating card. I only have three Instant spells; but, these three will do more than the job. All the Artifacts, except for one, deal in mana. This grants you both mana acceleration and mana fixing. Unscythe, Killer of Kings – 1 Blue, 2 Black, & 1 Red; Very useful abilities. 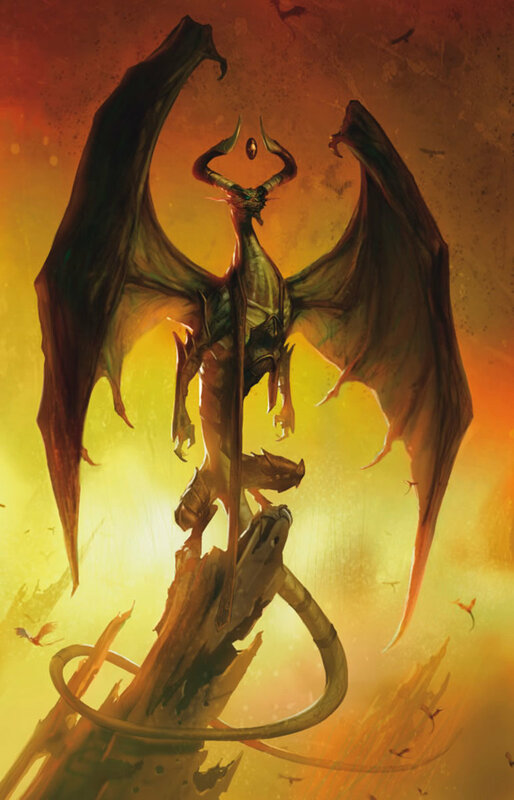 Official artwork for Nicol Bolas, Planeswalker. 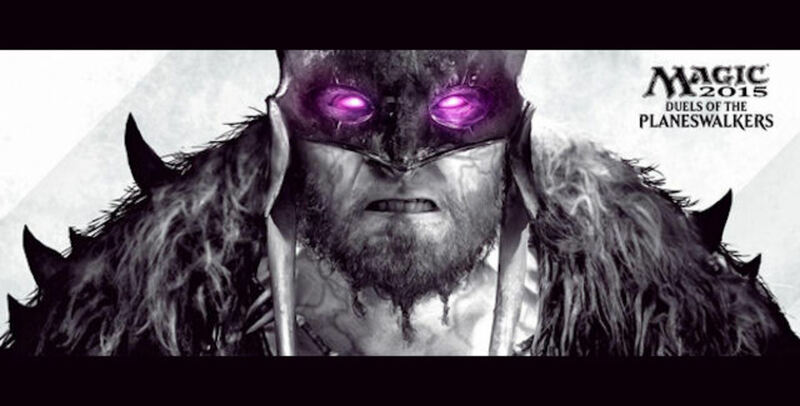 Planeswalkers play a crucial part in regards to the EDH Deck. I have put two Planeswalker cards in this deck. These cards represent total destruction and control. 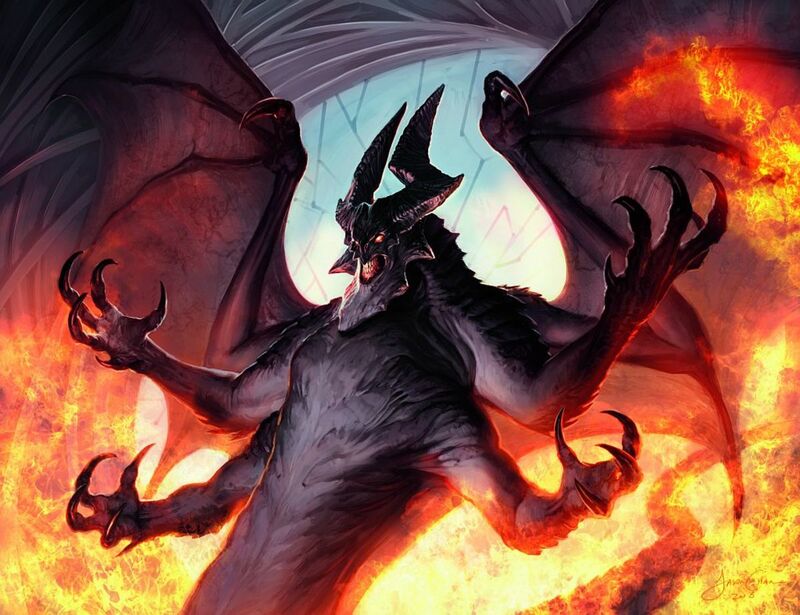 Nicol Bolas, Planeswalker – 1 Blue, 2 Black, 1 Red, & 4 Colorless; Its ultimate ability will devastate any opponent. 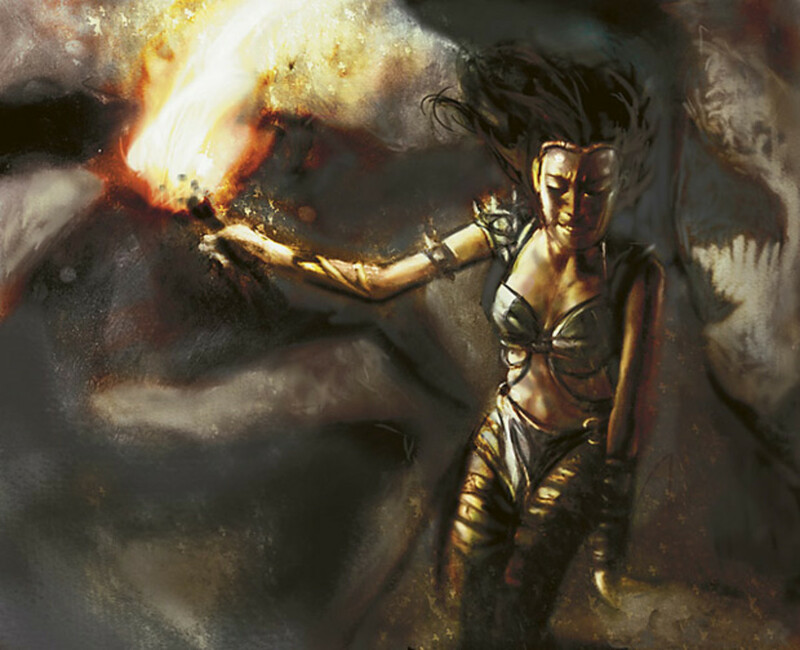 Liliana Vess – 2 Black & 3 Colorless; Its ultimate ability will give opponents plenty to be concerned about. You will need a combination of both basic and nonbasic lands. Some of the nonbasic lands have specific abilities that are useful to this deck. You can play offensively with this EDH deck; however, you want to use the indirect methods of getting rid of creatures through the different abilities. 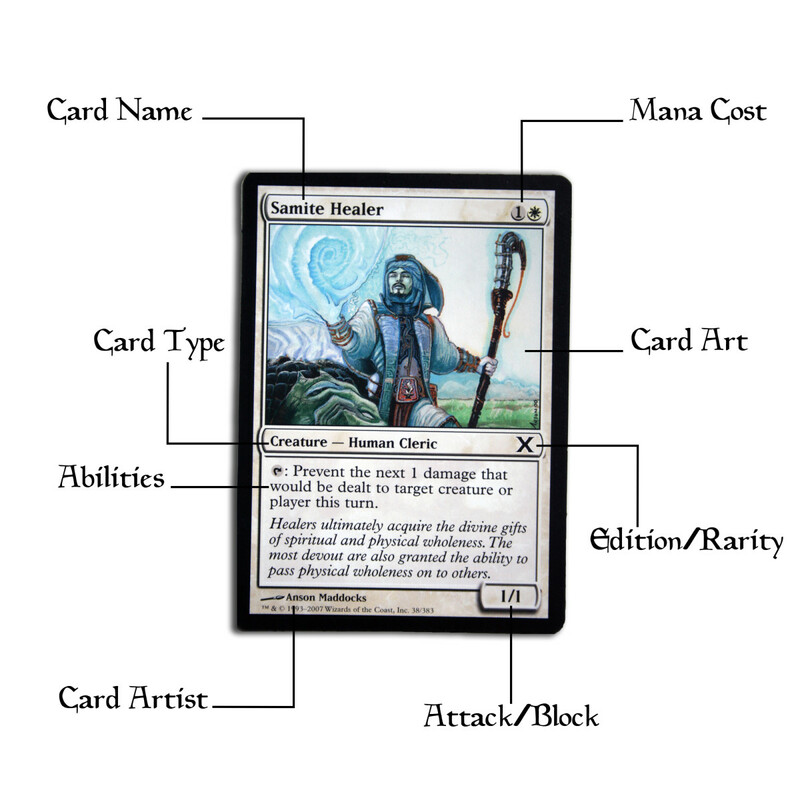 These combination of cards lets you utilize a bunch of different tactics simultaneously. When those tactics are used, you have many different ways of winning against your opponents. While EDH games can last for some time, this deck will let you take away their options. Fun deck idea. For someone who normally plays only two-player EDH, I'd be a bit worried about a lack of mana ramp here, but for longer multiplayer games, I could see things working out. Another positive is that once Thrax is out, winning through Commander damage becomes another viable option thanks to his strengthening effect. And I appreciate you introducing me to Cruel Ultimatum, which I'm surprised I haven't encountered before. Heck of a card.